Here is some restaurant news for Santa Cruz and other local areas. I’ll be publishing part two in the next few days. 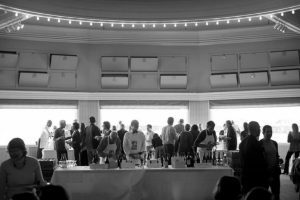 I also wanted to remind folks: if you have any food/restaurant/wine/culinary event news to share, please email me at tfatemi@gmail.com. The Artbar & Cafe at the Tannery Arts Center has reopened with a new chef and new menu after a period of closure, restructuring and renovations. The bar serves beer, wine, and cocktails. Food selections prepared by chef Antonette Wood of SwingTime Catering include soups, salads and scones. Earlier this month, the menu featured beef barley soup with fresh spinach; butternut apple goat cheese soup; gouda and chive scones; and mac and cheese. Cocktails included Gimlet Da Vinci (ingredients include rosemary and vanilla) and Woolf’s Moon (vodka, fresh raspberries, Nigori, lemon). Hours are Mon-Thurs from 10:30 a.m.-10 p.m. and Fri-Sat from 10:30 a.m.-11 p.m. The location is 1060 River St., (831) 234-5356. Gyros & Grill Express at the food court of the Capitola Mall is now open. Their mostly-Mediterranean menu includes selections such as falafel, hummus, Greek salad, chicken gyros, beef gyros, koobideh kabob, and burgers. Sides and accompaniments include garlic sauce and French fries. There are several wraps and platters to choose from, and many of the platters include rice and salad. Hours are 10:30 a.m.-8:30 p.m. daily. The location is 1855 41st Ave., (831) 477-0777. Pho 831 is a new Santa Cruz popup. It had its first appearance Feb. 12 at the winery Sones Cellars and announced that its second popup will be Saturday, March 5 at 6pm, also at Sones Cellars. This time, customers can order food to go or eat on-site. FYI, people under 21 years of age are welcome. Pho 831 will be serving two versions of pho: 1) beef, and 2) vegan mushroom. Event organizers say that both broths are made “with Chef Shane’s medley of flavors inspired by traditional pho (Vietnamese noodle soup) including ginger, star anise, and lemon grass.” Food will be sold until 8:30 p.m. or sellout, whichever comes first. In addition to pho, there will be spring rolls available from Pho 831 plus wine by the glass and bottle, nonalcoholic drinks and water from Sones. The location is at Swift St. Courtyard, 334 Ingalls St. Suite B. East Cliff Brewing Co. is open for business in the East Cliff Shopping Center, in a storefront next to Dollar Tree. They specialize in English-style ales and current beers include Burton’s Bounty (IPA), Black Point (Porter) and The Gypsy (Irish stout). Hours: Friday 4-9 p.m., Saturday noon to 9 p.m. and Sunday 11 a.m. to 8 p.m. The brewery just opened Feb. 19 and plans to expand hours in the future. Location: 21517 East Cliff Drive, (831) 713-5540. Lawman Ramen from chef Amy Ajas is a weekly Friday lunch popup at POPUP. Ajas has great cred — her day job is working as a line cook at Assembly right next door and she formerly worked at a Bay Area ramen eatery. 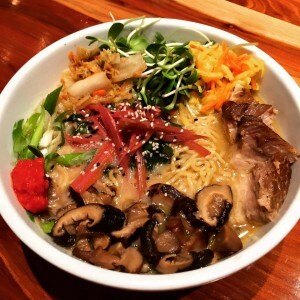 Up until recently, the popup featured two choices–a Tonkotsu bowl with pork belly and a vegetarian bowl; now Ajas has added vegan ramen with a savory mushroom broth and buckwheat noodles to the regular lunch service. Bring your own bowl for a $1 discount. Hours are Fridays 11:30 a.m. to 2 p.m. POPUP is at 1108 Pacific Ave.
Oswald is now open for lunch Friday through Sunday; it used to only serve lunch Fridays. In addition, the restaurant features a new cocktail hour 4:30-6 Tues-Sat in the bar and lounge. The lunch menu features many new dishes. Chef Damani Thomas says his favorite current lunch item is a sautéed spinach and farro dish; customers can order as-is or add a chicken breast, Arctic char, or fried egg. The bar menu includes Caesar salad, soup (recent varieties have included Fuyu persimmon-squash or mushroom with crème fraiche and scallions), a cheese plate with fruit/nuts/baguette, and a bleu cheese burger and fries. Oswald is at 121 Soquel Ave., (831) 423-7427. Downtown Santa Cruz restaurant Oswald has graciously agreed to give away a gift certificate for free Wednesday dinner for two to one of my Examiner.com or SantaCruzFoodie.com readers. See end of article for how to enter, and keep reading for more on Oswald. The wonderful Oswald, with delicious creations by Chef Damani Thomas, has been offering special three-course prix fixe dinners on Wednesday evenings for about three years now. The dinners cost $29; guests choose one appetizer, one entrée, and one dessert. For each of the three courses, you have three selections to pick from. I dined at Oswald on Wed. May 29 and truly enjoyed the prix fixe dinner. My appetizer was a pea soup with crème fraiche and mint and it was simply delightful: smooth, savory, and seasoned well. Other choices included sautéed prawns with coconut oil, dates, hearts of palm and citrus. 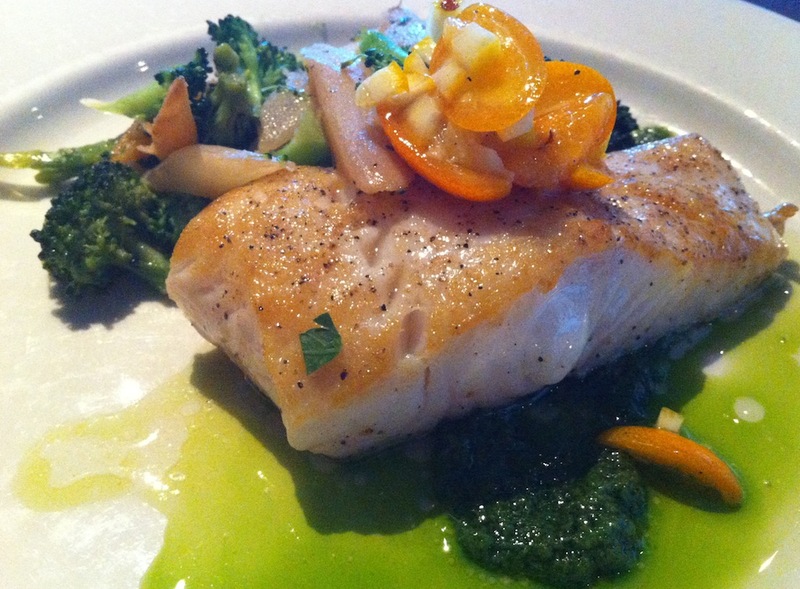 For an entrée, I selected Alaskan halibut with broccoli, salsify (a root vegetable, sort of like a parsnip), and lemon-kumquat sauce, and was immensely satisfied. The fish was moist and tender, and the vegetables and sauce, with the sauce having both sweetness and tartness, provided the right contrast. Plus the dish had a gorgeous appearance, which always makes me enjoy food more (see photo above). My dining companion chose an entrée of roasted chicken with shelling beans, snap peas, and orange reduction. He was very happy that he selected this – it was actually by default since he often eats red meat but there wasn’t any on the prix fixe menu that night. His second choice would have been fish but I’d already chosen that and he wanted to order something different. It’s not common for a restaurant to do chicken so well that you talk about it for a couple days, but that’s what Oswald did. The meat was perfectly cooked moist with crispy skin, the sauce had a great citrus flavor, and the beans successfully complemented the chicken. For dessert, the vanilla crème brulee dessert hit the spot with its creamy filling and cooked-exactly-right crisp caramelized top. In a word? Yum. The restaurant serves dinner Tuesday-Sunday beginning at 5:30pm, and lunch on Fridays only from 11:30 a.m.-2 p.m. Visit Oswald at 121 Soquel Avenue (at Front), Santa Cruz; call (831) 423-7427 for reservations. The winner will receive a gift certificate good for Wednesday prix fixe dinner for 2 at Oswald Restaurant (total value of certificate is $58). If you are the winner, please be sure tip your server! To enter, email your name to tfatemiwalker@yahoo.com by Friday, June 21 at 5 p.m. and include the phrase “Oswald contest.” The drawing will take place later that evening; the winner will be notified via email. If you haven’t made your reservations for a special Valentine’s Day meal yet, I suggest you call immediately—and here are some more Santa Cruz area and San Jose restaurants to consider. Yesterday I posted an article on menus for Valentine’s 2013 (La Posta, Café Sparrow, Gabriella Café and Lark Creek Blue) if you need more options. Happy Valentine’s Day! From Thurs. Feb. 14 through Sat. 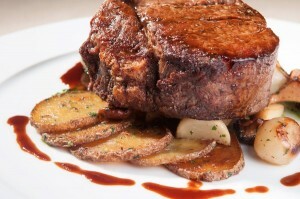 Feb. 16, the restaurant is serving a three-course prix fixe dinner for $48. Its regular menu will also be available; call (831) 460-5012 for reservations. Appetizer choices include lobster bisque with saffron, cream, and sherry. Entrée choices include Hawaiian ono with Bloomsdale spinach, fried plantains, and coconut-curry sauce, or grilled Colorado lamb loin with eggplant puree, baby fennel, oven roasted tomatoes, and marinated feta cheese. Desserts include cardamom crème brulee. This oceanfront restaurant is serving a four-course prix fixe dinner for $48; call (831) 479-3430 for reservations. Choices include starters such as Saffron Baby Clam Chowder or Warm Spinach Salad, appetizers such as Baked Oysters Rockefeller Crostini, entrees including Grilled Steelhead with potato crab croquette, braised kale, citrus crab crème, and Meyer lemon marmalade or Braised Boneless Beef Short Ribs with horseradish mashed potatoes, red wine demi glace, and gorgonzola butter, and desserts such as white chocolate and raspberry cheesecake or passion fruit panna cotta with vanilla mango compote. The Soquel restaurant is offering a four-course prix fixe dinner for $45 per person; seatings are at 5:30, 7:00, and 8:30 p.m. Call (831) 479-9777 for reservations. Appetizer choices include baked oysters with spinach and bacon or steamed half artichoke stuffed with creamy crab dip. 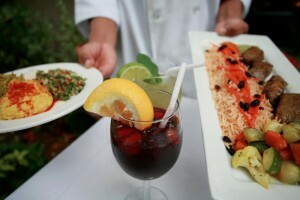 Main course options include pine nut crusted salmon topped with mint hollandaise or petite filet in pomegranate sauce. This downtown Santa Cruz restaurant is serving a three-course prix fixe dinner for $55; call (831) 423-7427 for reservations and more information. LB Steak San Jose is serving its regular lunch menu and a limited a la carte dinner menu, plus a $75 4-course prix fixe dinner menu with entrée choices of “Love Me Tender” with prime beef tenderloin, goat cheese soufflé, brandy and tarragon glace de viande; “Strip Tease” with a slow roasted New York strip loin, polenta with robiola cheese, wild mushroom fricassee; or “Abrazos y Besos” with seared scallops, celery root gratin, melted leeks, and caviar beurre blanc. All female customers will receive a complimentary rose and the restaurant will be decorated with roses. Call (408) 244-1180 for reservations. The restaurant is serving its the regular lunch menu and a limited regular a la carte dinner menu, plus a $45 three-course prix fixe dinner menu with entrée choices of Butter Poached Maine Lobster Tail with sweet potato orzo, roasted butternut squash, Brussels sprout petals and fleur de sel truffle butter or Pan Roasted Filet Mignon with goat cheese and Yukon Gold potato purée, roasted baby vegetables and Béarnaise sauce (add a lobster tail for an additional $15). Call (408) 984-3500 for reservations. 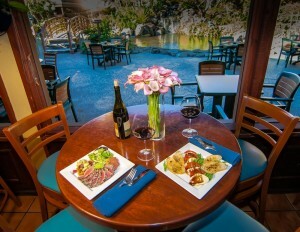 It’s the countdown to 2013 and the countdown to New Year’s Eve; do you have your restaurant reservations yet for Santa Cruz or San Jose? Here are details and menu highlights for a variety of venues; I’ll publish a few more tomorrow. Located at the Santa Cruz Dream Inn overlooking the Wharf, Aquarius is serving two meals on New Year’s Eve: brunch (7am-3pm) and dinner (5:30-10 p.m.). Also, a bar menu will be served from 11:30 a.m. – 5:30 p.m. and the lounge is open for cocktails until 12:30 a.m. Aquarius has two dinner seatings for New Year’s Eve, one starting at 5 – 6 :30 p.m. and one starting at 9 p.m. First seating is $65 for three courses; second is $85 for four courses. The second seating includes a live DJ and vocalist Tammi Brown. Food selections include two mushroom veloute, slow poached lobster, grilled Colorado lamb loin, and chocolate cake with toasted pistachios, caramel sauce, and raspberries. Call 460-5012 for reservations or more information. This restaurant is offering a special three-course prixe fixe menu for New Year’s Eve; the cost is $55. Appetizer choices include mushroom tart with arugula and balsamic reduction, and Dungeness crab with avocado and greens. Entrée choices include seafood stew with fennel, croutons and aioli, and roasted chicken with gnocchi and broccolini. Dessert selections include persimmon pudding with whipped cream, and chocolate souffle. Call (831) 423-7427 for reservations. On New Year’s Eve, Johnny’s is serving a prix fixe, three-course dinner for $38 that includes a glass of champagne. Call 479-3430 for reservations; the first seating is 5 p.m. and the last is 9:30 p.m. Customers choose one selection from each course. Appetizer options include fresh local crab bisque and baby spinach & goat cheese salad with medjool dates and roasted beets. 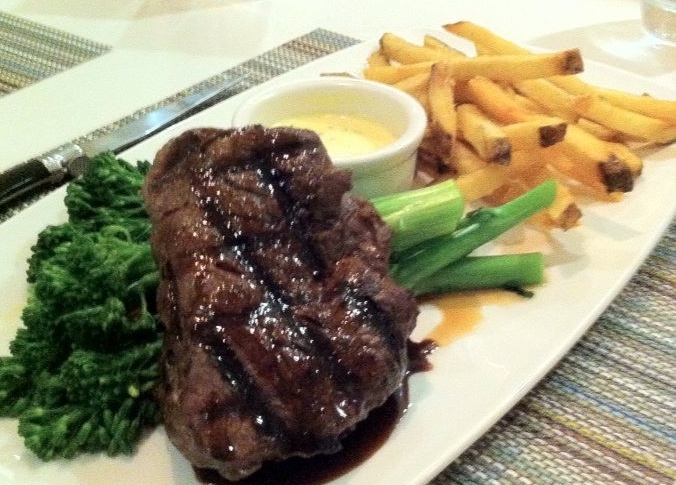 Entrée choices include crab-stuffed petrale sole and pepper-crusted flatiron steak. Dessert selections include a trio of mousse parfaits. You can also order a la carte items if you sit at the bar. On New Year’s Eve during the day, the restaurant is offering its regular menu from 11:30 a.m. – 4 p.m. On New Year’s Day, Johnny’s opens at 10 a.m. for brunch which is served until 2, followed by regular dinner service which ends at 9 p.m. The restaurant is open on New Year’s Eve and New Year’s Day. 12/31: Hindquarter is open at 11:30 a.m. for lunch, and from 5 p.m. onward for dinner serving the regular menu plus holiday specials. 1/1: Closed at lunch. The dining room is open at 5:30 p.m. serving the regular menu. Call (831) 426-7770 for reservations. On New Year’s Eve Solaire is open from 4 p.m. – 1 a.m. A four-course tasting menu ($75) is available for dinner; reservations start at 8 p.m. – 9:30 p.m. and the table is then yours for the evening. The $75 per person includes party favors, live entertainment, dancing, and a champagne toast at midnight. On New Year’s Day Solaire is serving brunch from 10 a.m. – 2 p.m. The restaurant will have an appetizer, salad, and dessert buffet with a la carte entrée selections plus unlimited sparkling wine or mimosas. Appetizers include fruit, cheese, antipasto, and vegetable crudite. Entrée choices include eggs benedict made with Glaum eggs (vegetarian and non-vegetarian versions are available), the Paradox burger (includes brioche bun and house ground beef), mussels with pernod, white wine, leeks, fennel, butter and herbs. Brunch is $28 for adults and $14 for kids ages 3-12. For reservations call (831) 600-4545. The Santana Row restaurant is open on New Year’s Eve. It’s offering limited a la carte choices from its regular menu, plus a special $71.50 prix fixe four-course dinner (the prix fixe selections are also available a la carte). First course choices include trio of seafood crudo (yuzu and kampachi tartare, scallop ceviche, redfish escabeche) and prime beef tenderloin tartare. Second course choices include black truffle gnocchi, and third course choices include chicory-crusted loin of venison. Dessert selections include eggnog crème brulee with butter rum cookies. The last seating is at 11 p.m. Call (408) 244-1180 for reservations. Interested in Indian food to ring in the New Year? Amber India on Santana Row is providing a live band to accompany its always-delectable Indian cuisine. Dinner will include live cooking stations and wonderful tandoori kebabs. Call (408) 248-5400 for reservations. The fourth annual Santa Cruz Restaurant Week ends on Oct. 10; read more details in my event preview (includes list of participating restaurants). A quick overview: for eight nights, diners have the opportunity to pay only $25 for a gourmet, prix fixe three-course dinner. Two “late joiners” to Santa Cruz Restaurant Week were Oswald and Main Street Garden & Café, but rest assured—their hesitation means nothing as far as delivering a great meal. In fact, looks like they tried extra hard as newcomers! One of my acquaintances and her friends greatly enjoyed dinner the other night at Main Street, proclaiming the butternut squash and apple soup delicious and highly recommending two entrees in particular: the heirloom and burrata pizza, and the ricotta gnocchi. Apparently, the wild honey panna cotta with almonds and sea salt was a divine dessert (what is with all the great panna cotta this week? Remember, I had a similarly wonderful one, but it was vanilla bean panna cotta at Gabriella Café, which I mentioned – and included a photo of – in my recap of that Restaurant Week visit). Oswald’s menu sounds positively delightful, with appetizers such as mushroom soup with crème fraiche and entrees like skirt steak with fries and blue cheese butter or corn and tomato pudding with sauteed spinach. A friend of mine dined at Casablanca Friday night, and raved about the meal–especially certain parts. She “loved, loved, loved” the brussels sprouts (Crispy Brussels Sprouts, smoked chevre, apple gastrique) and her companion really liked his entrée of Organic Roasted Chicken with squash, olive, arugula, panisse, and piri piri sauce. She wasn’t crazy about the fish tagine entrée, but they both loved the Crème Catalan dessert. And the ocean view from the restaurant is absolutely beautiful. Can’t decide where to dine or want to see some specific menus? Read more at the Santa Cruz Restaurant Week web site. If you’re a mushroom fan, don’t miss the 37th Annual Santa Cruz Fungus Fair this weekend where you can watch cooking demos, get recipes, and hear experts at Louden Nelson Community Center in downtown Santa Cruz. Prices and fair hours can be found at the end of this article. The event is so popular that this year it’s been expanded from two days to three days, beginning on Friday afternoon instead of Saturday morning. It features lots of great food from various vendors; last year selections included mushroom lasagna, cheesecake with candycap mushroom glaze, and India Joze Thai 3-mushroom soup (I had one delectable $4 bowl and could have eaten so much more!). Plus, the festival has many informative displays where you can learn more than you ever thought possible about mushrooms. A special habitat display area, beautifully arranged, will showcase hundreds of mushroom species commonly found in the Santa Cruz/San Francisco/Monterey Bay area. Friday, January 7 6-7pm: Oswald Chef/Co-Owner Damani Thomas will do a demo and talk on opening night of this year’s festival. He is an incredible chef and this is bound to be an engaging, informative program. Read more about Oswald, including the popular downtown Santa Cruz restaurant’s three-course fixed-price Wednesday evening meals. Saturday, January 8 3-4:30pm: Chef Todd Spanier, who runs a business gathering “wild foods” including mushrooms and huckleberries, and getting them into markets and restaurants – including getting his morels into Chez Panisse. Read more about Spanier at the Fungus Fair web site’s program/speaker section. Sunday January 9 3-4:30pm: Jozseph Schultz (founder/chef of restaurant India Joze) is doing a demo and audience members will get to taste samples. Schultz’s travels include Bali and Turkey, and he is a talented cook and storyteller. Here are some of his recipes; he’s authored cookbooks such as “India Joze International Mushroom Cookbook.” In addition to running India Joze (read more on this fabulous restaurant), Schultz teaches many classes including ones at local New Leaf Market and UC Santa Cruz. 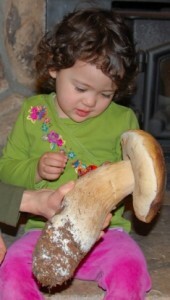 See all you mushroom lovers this weekend!